With the increase in technology, use of a computer which was a luxury once upon a time became a necessity. In the present situation of Tech world, there is no wonder if anyone says that computer is an essential requirement for a human. We store a lot of our personal information right from our favourite photos, media files to official documents. Basically, we care a lot about our privacy. So, there arises a necessity to protect our personal data stored in the folders on our desktop. Basically, we care a lot about our privacy. But, our desktop or laptop may be used by our parents or siblings. Most of the times we don’t want our parents/siblings to see our data. Though we have hide option or a password protection option, it is not secure as it can be easily hacked. 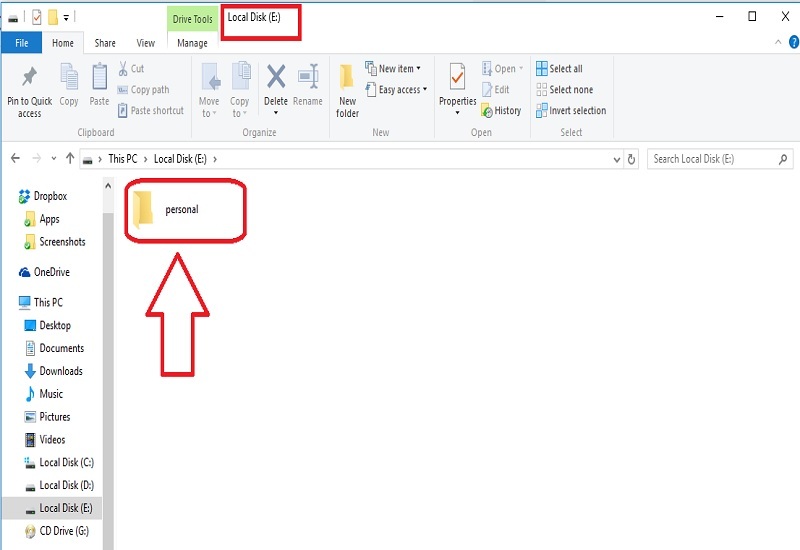 So, there arises a necessity to protect our personal data stored in the folders on our desktop. Our folders should neither be opened by others nor be deleted by others. Congratulations…!!! 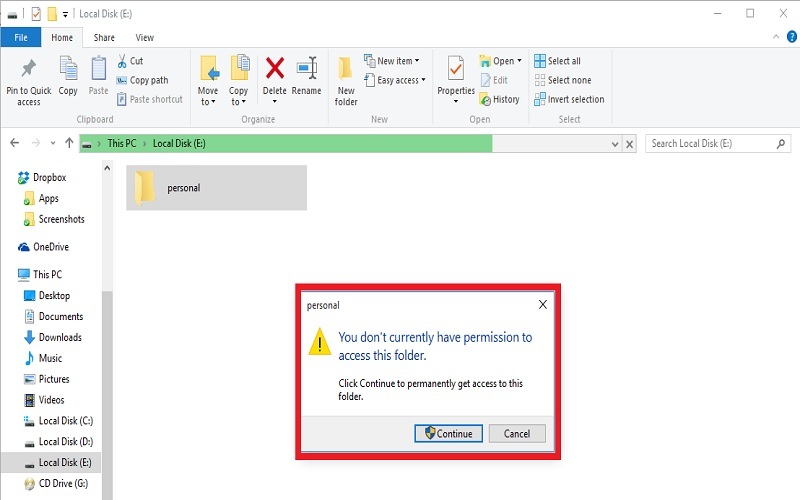 All permissions of that folder have been denied. 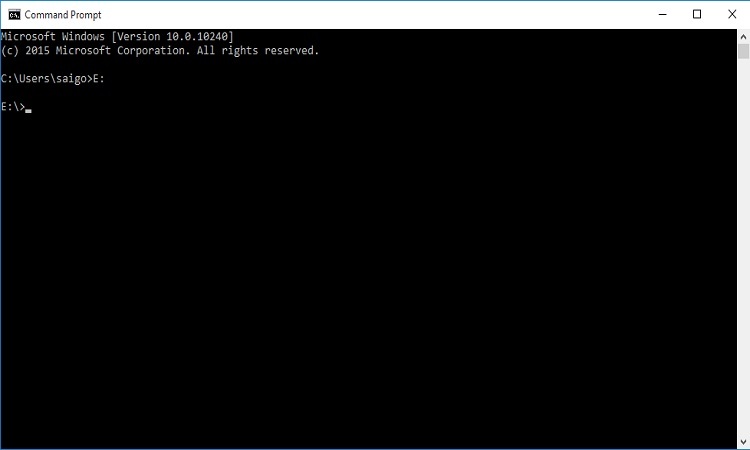 Open command prompt and type E: to change directory to E drive. Now click on the “Personal” folder. 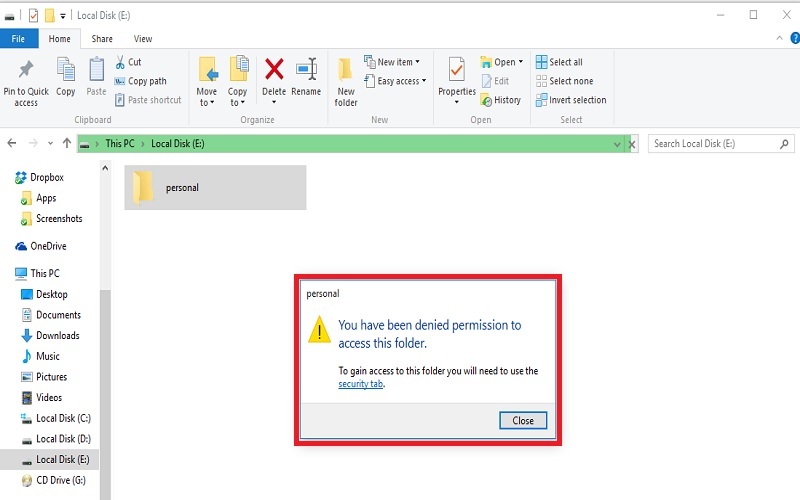 You’ll get a popup saying you don’t currently have permission to access this folder. If you click on continue. 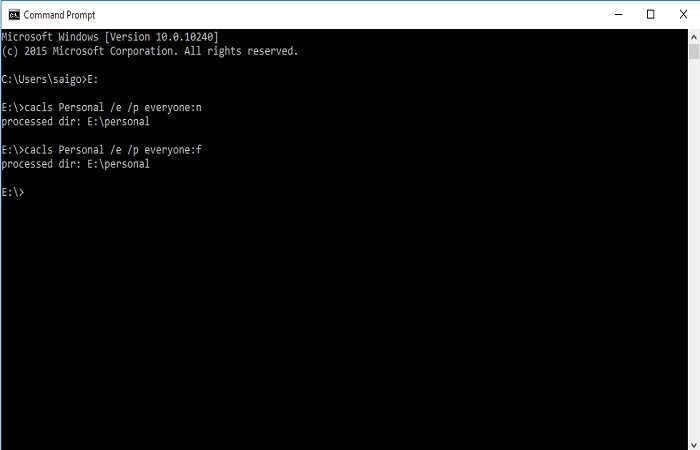 Now you can’t open this folder, can’t delete/copy/move/rename. Your content will be safe! 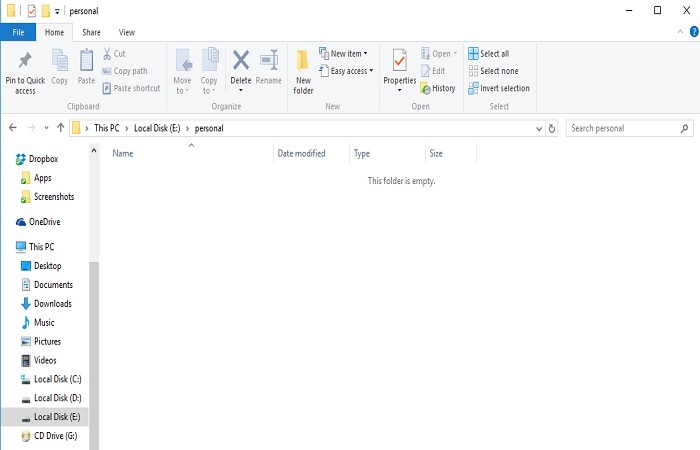 Now you can open this folder. You can use this trick on pen drive too. But your pen drive must have NTFS File System. 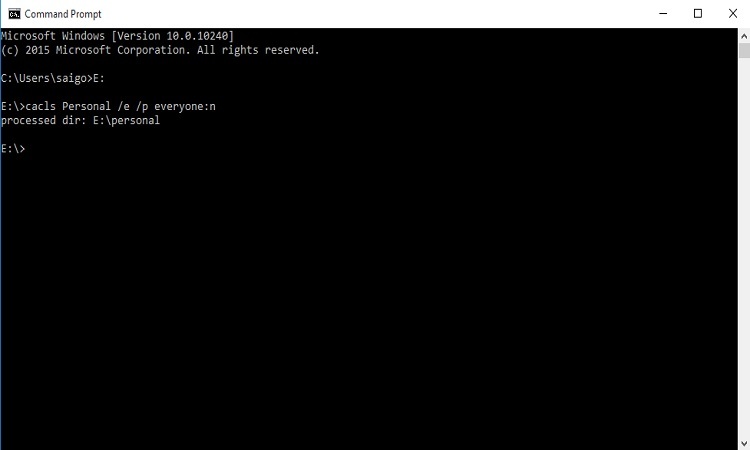 If your pen drive has FAT/FAT32 file system, you can convert it to NTFS. 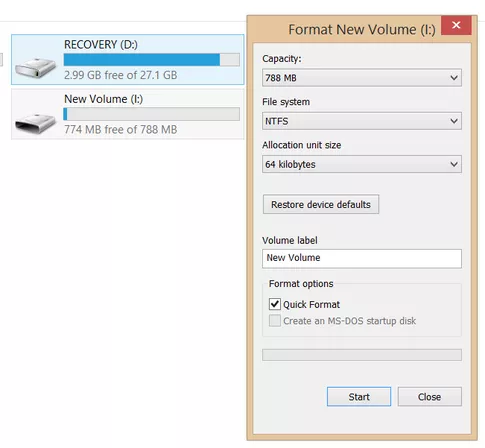 Choose NTFS file system, and Format. Now there is no need to worry about your privacy information stored in your personal folders. Isn’t this hack amazing? Share this information with your friends and comment below if you know any hacks.